Below are a few of the most commonly asked questions. If you’re still looking for answers, please don’t hesitate to contact us. Q: I need my product right away – do you offer expedited shipping? Yes, we offer several different shipping options and will always do our best to accommodate your requirements. Call us at 1-800-357-4769 for pricing and information, or use our shipping calculator at the checkout screen. We do not have a billing department. All orders are processed upon receipt of payment via credit card or check by mail. If you do not have a credit card, you may call and place an order with our friendly customer service representatives at 1-800-357-4769 – we will then email or fax you a copy of your invoice – after we receive your check, your order will be processed. Q: I have some questions - can I speak with a real person? Customer service representatives are on hand to answer your questions and place orders over the phone Monday through Friday, 8:00 am – 4:30 pm Central Standard Time at 1-800-357-4769. If you reach our answering service during this time, all representatives are on other lines. Your call is important to us, so please leave a message, and we will return your call as soon as we can. Q: Are there any additional costs I should be aware of? Pricing listed on this website and in our catalog applies to individual products as they are shown. (This includes customization on many items!) Additional charges may apply for some products (custom art fees, die charges, shipping, etc.) We do our very best to clearly note any extra charges for each individual product. If you have any questions, please call us at 1-800-357-4769. Q: Can I customize the pictures and information on my leaflets? 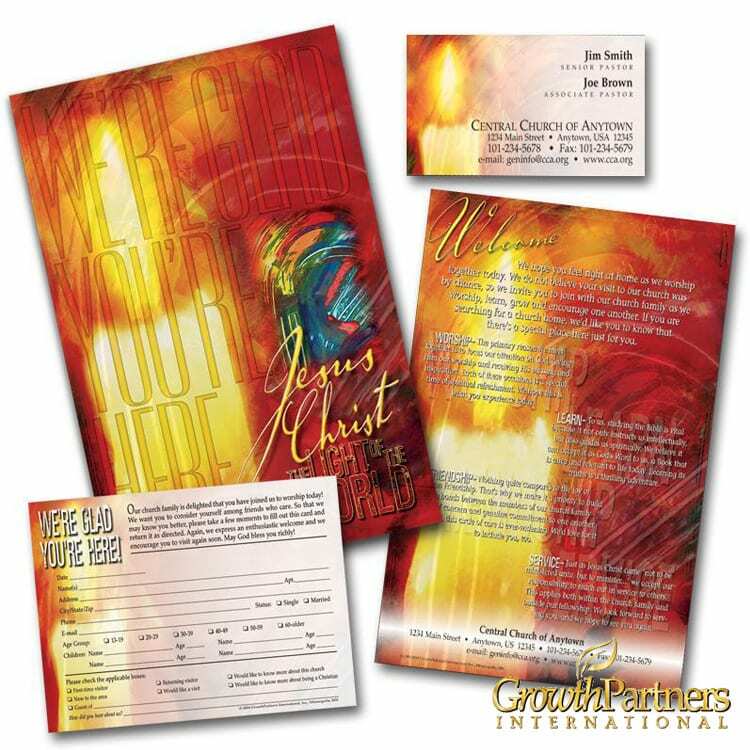 Yes, Leaflets come with your church information (name, address, phone, fax, e-mail and website) printed in black. For a one-time fee (in addition to the standard leaflet price) we can further customize them. Call us at 1-800-357-4769 to speak with a customer service representative about adding pricing, or visit our shop to get started immediately. Q: Do custom gift bags come with matching tissue paper? Matching tissue paper can be purchased separately at a price of $60 per ream of 480 sheets. Q: How many lines can I print on my customized pen? Imprint area varies from pen to pen. 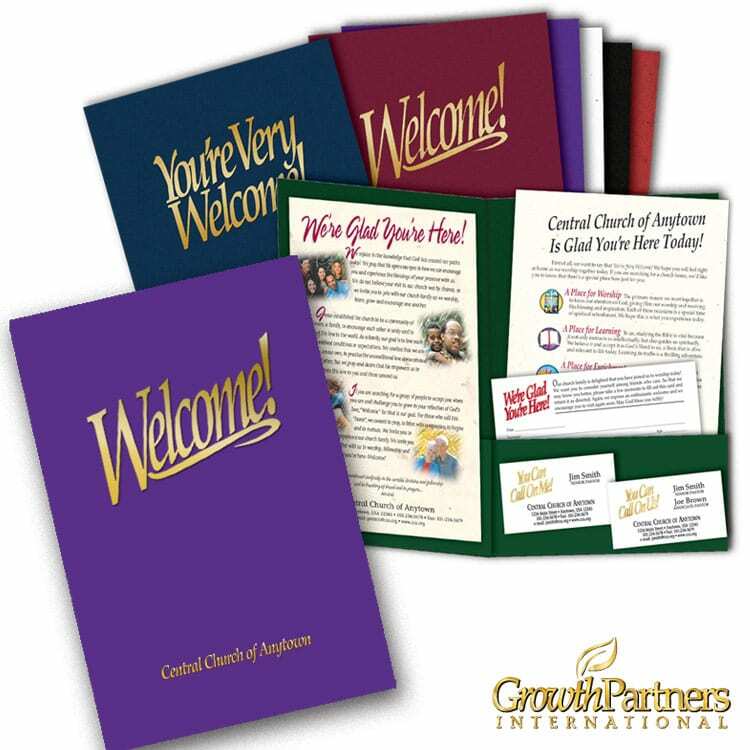 Standard imprint includes the optional phrase ‘You’re Always Welcome At’, your church name, address, and phone number. For detailed information on each specific pen, call us at 1-800-357-4769 or view our online selection. 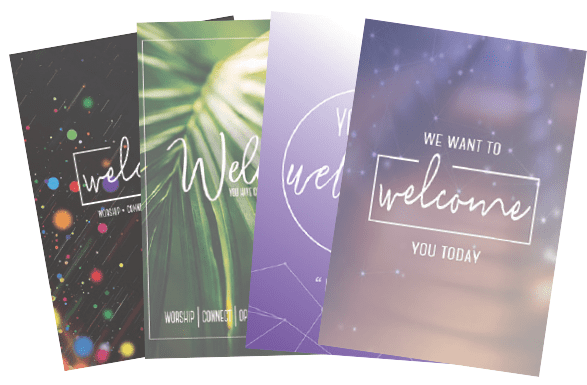 Q: Can I customize the message on my door hangers or postcards for my event? 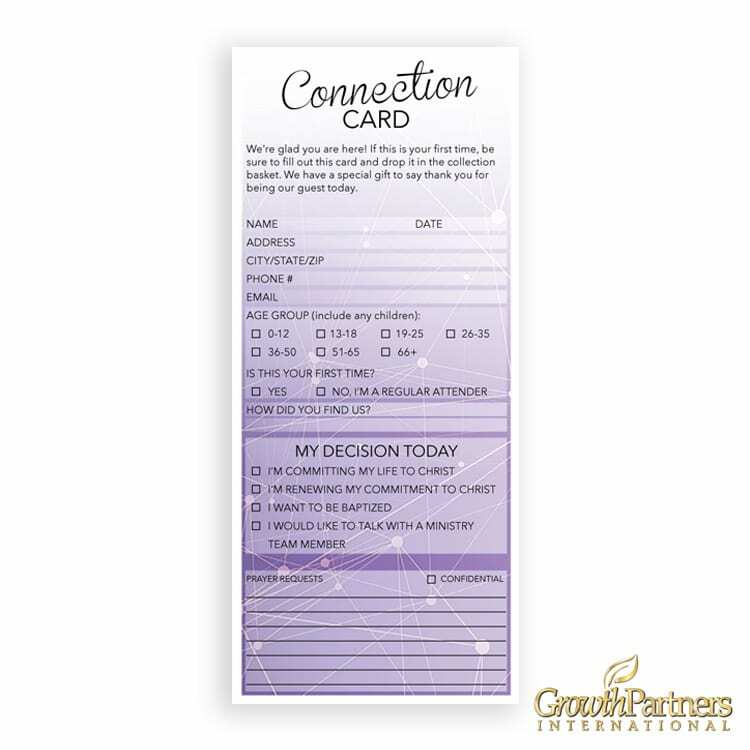 We can imprint your custom information on a Door Hanger or Postcard for an additional one-time set-up charge. Please call us at 1-800-357-4769 for more information.